It's just like the real deal, minus the fizz. Load up your favorite vaping device and try it out today. Mix in with our Cream flavored e-liquid. It tastes like a yummy cola float! Or mix with Cherry e-liquid for a tempting cherry cola. 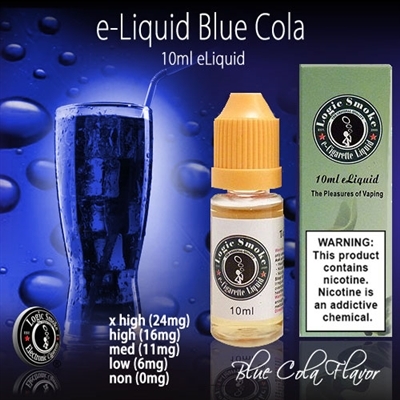 Add a bottle of Blue Cola to your e-liquid collection today! !